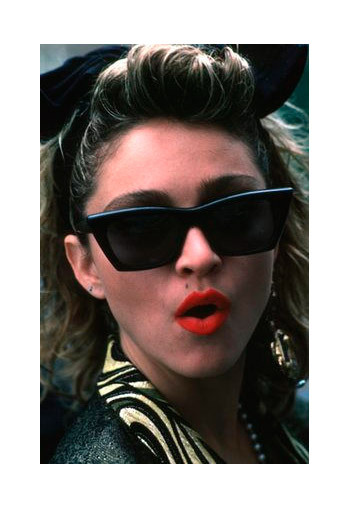 Remember in the 80’s when Madonna-wear was so trendy? VanDesign (VD) has been in existence since then…we are pushing 30 years in business and luckily no longer wear hair hankies and shoulder pads. As founder/owner, I consider three decades a long career path especially when compared to some well-intended but ultimately short-lived enterprises (e.g. dot.coms). As a boutique creative/marketing firm with its roots in the horse industry, VD business strategies and use of technology have had to evolve or simply close our door. Yes, I guess one, not so trendy door. However, you know the story about the cobbler’s kids with no shoes? Well, VD has failed in that respect. Adept as we are at marketing ideas for and about our clients (aka the kids), VD has been hesitant to engage new SM marketing technologies and only lightly manages three social media (SM) networks, Facebook, LinkedIn and Twitter. We are becoming more aware of SM platforms, strategies and current trends (through online SM education…thank you SNHU and Dr. J. Rogers) but actually engaging and awareness are distinctly different. Let’s pretend for this post, that VanDesign IS the client and we want to enhance VD’s SM reach. As a consultant on their corporate marketing team, I first want to identify and then apply, a new SM tool/tactic that would enhance their target market. Remember, SM is simply another tool in our marketing toolbox. We only should use it in conjunction with VD’s overall business plan or to help achieve a specific company objective. Funny, I just happen to know one of VanDesign’s business objectives…to increase their brand awareness, beyond the equine industry. What SM tool would YOU suggest for VanDesign (see poll below)? Pinterest is visual…a perfect platform to display latest designs, logos created, illustrations, font/color trends, etc. In 2012 alone, Pinterest usage rates grew by over 1000%…a completely overwhelming statistic. At present, Pinterest is driving more referral traffic than LinkedIn, Google+ and YouTube combined. And the only social media site driving more traffic than Pinterest is Facebook (Stelzner, 2012). Pinterest shares a similar demographic to the Horse Industry (HI): 88% of the HI involve women, while 59% are between the ages of 25-54. 46% of horse owners have an income of between $25k and $75k…28% of an annual income over $100k. Up to 80% of Pinterest users are women between the ages of 25 and 55. Pinterest users are fairly affluent too, with a salary of $50,000+. Pinterest it seems, is a perfect match from a demographic standpoint, but now let’s help VD further confirm their efforts by applying these ideas specific to Pinterest. Setting up a Business Pinterest account would be appropriate. Board ideas may include…fonts that inspire, annual color trends, logos created by VD…anything along these lines. Use “Pin it” and “Follow” buttons AND Profile and Board Widgits to grow VD’s community and increase traffic…these make it easier for people to pin items from VD’s site, see what they’re doing on Pinterest, and follow VD or their boards. Promote VD”s Pins…link to Pinterest Profile from other SM networks (e.g. FaceBook, LinkedIn, etc.) and VD’s Website. Pinterest tracks trends and VD can adjust their pins and social networks accordingly. Like the passing of Madonna’s trendy-wear, social media tools and strategies will continue to evolve (Rogers, 2013). Similar in sans-trendiness to VanDesign, networks such as FaceBook, Twitter, LinkedIn and Pinterest seem to be here for the long-term. So, with research, proper planning and a slight “wait and see” attitude, businesses can confidently leverage these SM platforms to their advantage. This entry was posted in Creative/Marketing SM, Equine Related, SM Trends and tagged Dr. Jessica Rogers, Horse Industry, Jeff Bullas, marketing, Pinterest, Social Media trends, VanDesign by KristieVV. Bookmark the permalink. Hi Kristie, great post. Lots of solid research here and I agree that Pinterest would be a really great fit for VD because of its visual elements and the demographics. Pinterest is such an addictive thing, lots of people find it to be a “timesuck” which is something a lot of these businesses can capitalize on as they look to get more involved with social media. I agree about the time thing, but if consumers have the time, I need to make time to get VanDesign on Pinterest. The demographic match IS amazing. See you online! Good info, Kristie. I too have been lightly engaged with social media and have learned to use it primarily because my clients want to engage. I found this article most helpful. Thanks. SO glad you found this post helpful. Hope all is well in the Mid-Atlantic.